Grubby garage rockers Black Lips take listeners on another weedy trip, this time to Arabia Mountain on Vice Records today, before playing the Great American Music Hall in San Francisco Saturday, June 11. 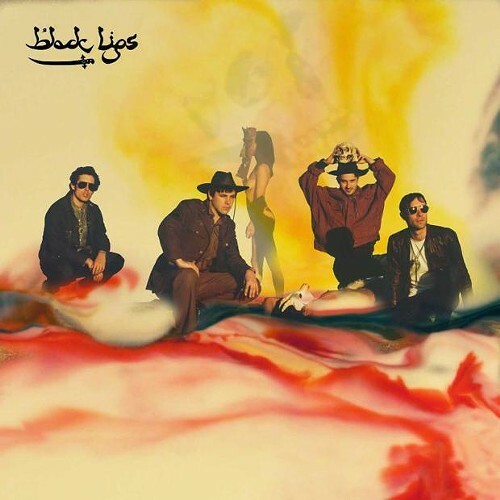 While most garage rock acts struggle to stand out in a field that can be entered by literally anyone, Black Lips have managed to transcend the genre through increasingly deft musicianship and totally depraved live shows. They're a now-global name that's about to get even bigger. Fresh off a now-legendary hipster Caribbean booze cruise with SF's Thee Oh Sees, the Atlanta “flower-punk” quartet's sixth studio album took a year instead of the usual week to record, the band said in a release. The first time The Lips had bothered with a producer, the more retro-psych Arabia Mountain was stewarded by producer Mark Ronson of Amy Winehouse's Back to Black "Rehab" fame. Indeed, “Don't You Mess With My Baby” has that retro-mainstream pop quality that Adele is currently killing the charts with, contrasted with lyrics like you smoked all my dope / chased a rainbow / and then you sang a song. Inspired by a Bolivian folk tune, “Family Tree” has this madcap, '50s horror-rock vibe that ends up sounding pretty punk rock. Single “Modern Art” (free .mp3) - about visit to the Dali Museum on “molly” - is two and half minutes of deviant joy, while “Spidey's Curse” is a dreamy, thoughtful, Byrds-like mediation on the plight of comic book superhero Spiderman. Buy it at iTunes, spark one, and boogie.